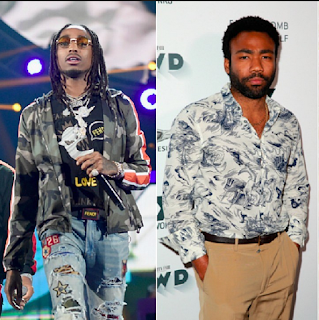 Childish Gambino (aka Donald Glover) teased fans when he said that a Migos collaboration was definitely happening in the future. Gambino has always been a fan of Migos, as he’s given high praise to Migos’ “Bad & Boujee” single at last year’s Golden Award. anticipating a collaboration and now it’s been revealed through an Instagram post. Gambino in the studio working on new music.